Due to point-to-point encryption, iMessages are securely protected while in transit. What about the cloud? Apple states that the data stored in the user’s iCloud account is securely encrypted. Apple also stores the encryption keys, which makes it possible for the company to fulfil law enforcement requests and GDPR data pullouts by handing over the information. This, however, does not apply to iCloud Messages and any attached content. Apple uses additional AES256 encryption to protect synced messages. The encryption key is re-encrypted with the user’s device passcode (iOS devices) or system password (macOS devices); if several devices with different passcodes/passwords are enrolled, the encryption key can be decrypted with either one. In addition, messages will only sync for accounts with Two-Factor Authentication. iMessage is the de-facto instant messenger of choice for many iPhone users. Business Insider states that “Apple iMessage use outstrips Facebook Messenger and Snapchat among US youths”. “US Teens engage with iMessage more than any other social platform”, claims Guiseppe Stutto from Hacker Noon. “iMessage IS a social platform for teens. It’s currently the center of their immediate, social universe”, he continues. “They still spend hours on apps such as Instagram, Snapchat, Tumblr, or whatever else, but they constantly come back to their iMessage chats, whether it be 1v1 or group chats”. As avid iPhone users, we make our own contributions to anecdotal evidence. Parsing our CEO’s iCloud account returned as many as 170,000 messages with more than 7 gigabytes worth of attachments. This is the kind of evidence to die for. While iMessages per se don’t include location information (except when users share their location), attachments are usually photos snapped with the iPhone’s camera just moments before the iMessage is sent. This contributes greatly to location history thanks to EXIF tags accompanying each picture. 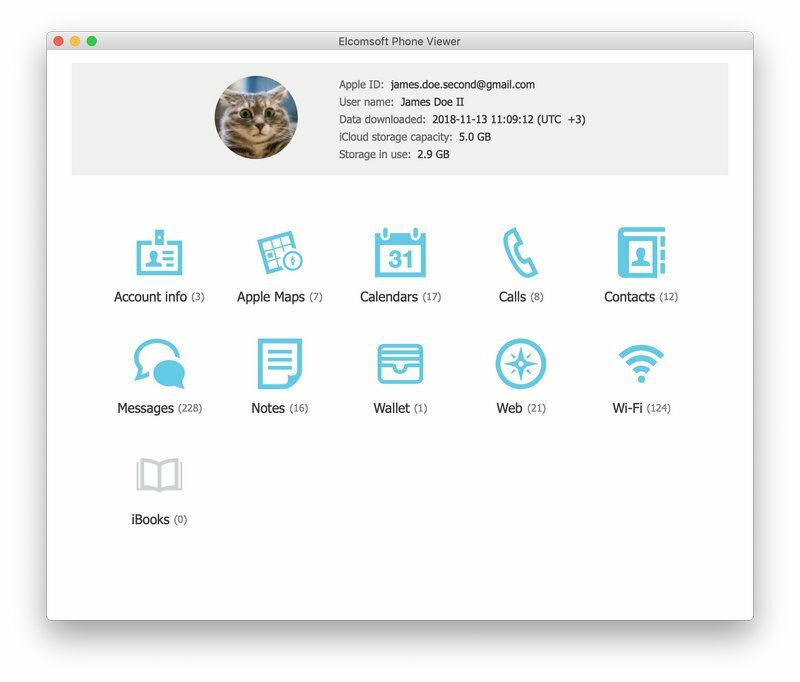 Back in 2011, iCloud backups were among the first services introduced with Apple’s new cloud platform. Since then, many things have changed. 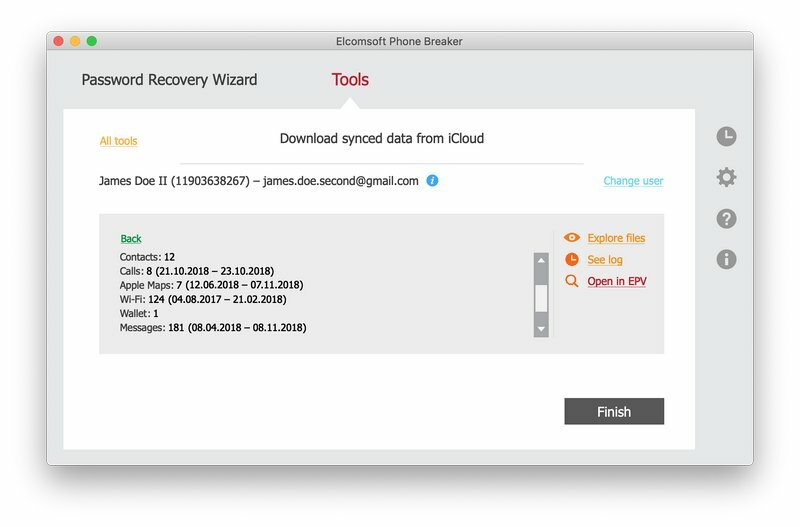 Cloud backups are created daily at best, and for many users they may not be created at all due to Apple’s restrictive free tier of only 5 GB of iCloud space. The growth of Apple ecosystem means high probability of the user owning more than one Apple device. 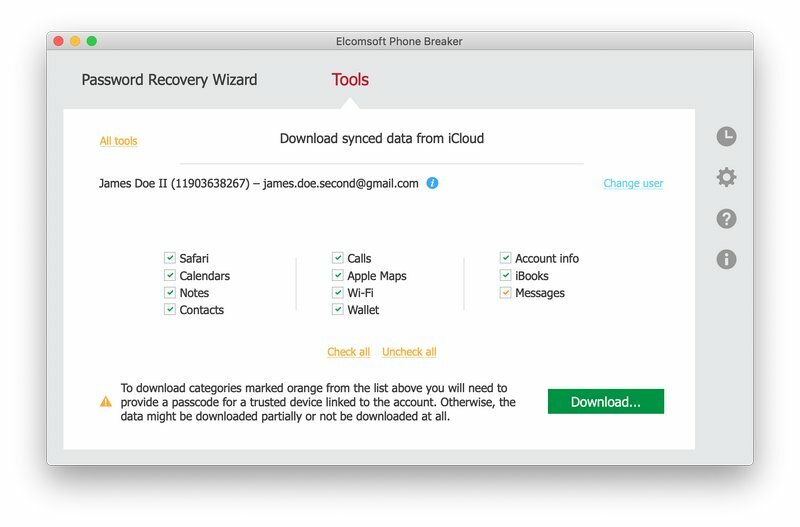 As a result, Apple continues moving things out of iCloud backups and into the shared bucked of synchronizable data. Messages are not included with information obtained via LE or GDPR requests. The additional encryption is the reason; according to Apple, the company does not have access to the user’s messages because of this encryption. Apple states: “your messages are encrypted on your device and can’t be accessed by anyone without your device passcode”. As already mentioned, once the user enables Messages in iCloud, neither the messages nor attachments will be stored in iCloud backups. As a result, messages can only be extracted from the cloud using third-party forensic software. The user’s Apple ID login, password, 2FA code, and device passcode (screen lock passcode) are required to extract and decrypt messages. 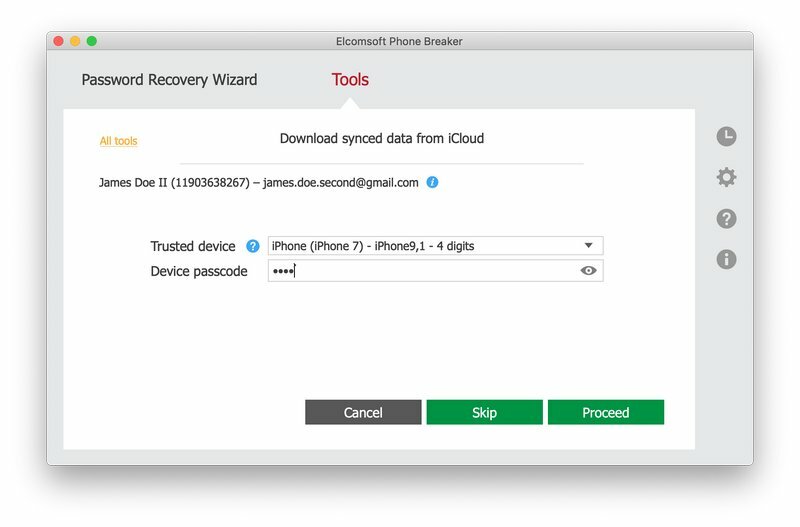 In order to extract messages and attachments from iCloud, you will need Elcomsoft Phone Breaker 8.40 or newer. If you are using a Windows PC, you must have iCloud for Windows installed. Mac users must have macOS 10.11 or newer. Use the following steps to access messages. Access to the second authentication factor (SIM card, iPhone or iPad device registered on the same Apple account). Note: thanks to GS authentication, you will only have to provide the one-time code once. The computer then becomes trusted, and 2FA codes will not be asked during subsequent acquisitions. Messages will download. After the messages are downloaded, click Finish. Alternatively, you may clock “Open in EPV” to automatically open downloaded data in Elcomsoft Phone Viewer. Yet another alternative is using the “Explore files” link to verify files that have been downloaded. 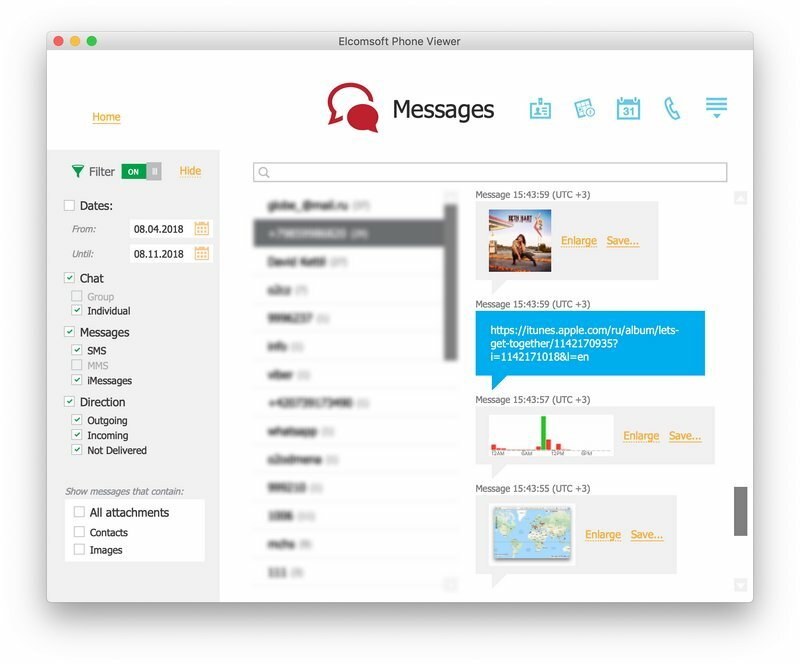 You can now use Elcomsoft Phone Viewer to analyze downloaded messages. Click “Messages” to open the list of messages and attachments. This gallery displays thumbnail previews of extracted media file. Click Enlarge next to the preview to access the original or click Save to save as a file. You can apply a number of filters to show messages sent or received within a certain time range, or to only show messages with certain types of attachments (e.g. only messages with attached photos). This entry was posted on Thursday, November 15th, 2018 at 9:24 am	and is filed under Elcom-News, Tips & Tricks. You can follow any responses to this entry through the RSS 2.0 feed. Both comments and pings are currently closed.